Voted World's Best Business Class Onboard Catering makes Austrian a top contender for a reward flight you might want to take. Austrian only departs from five North American cities, Toronto, New York, Washington DC, Miami and Chicago. They do offer fairly consistent reward ticket availability but with limited departures, snagging them becomes a little more difficult. 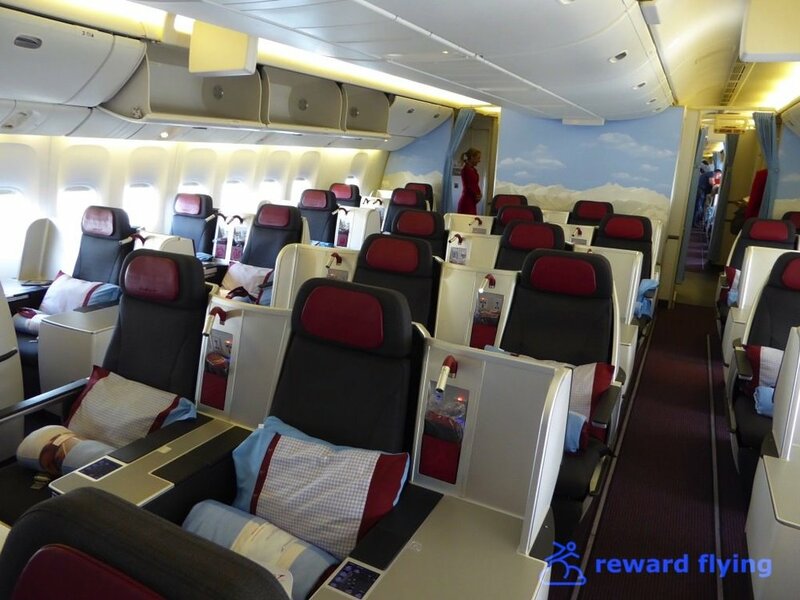 Austrian flies two Boeing aircraft internationally, the 767-300 and 777-200. Business class is the only premium class travel offered and all seats are the same. Each business class seat has direct aisle access. 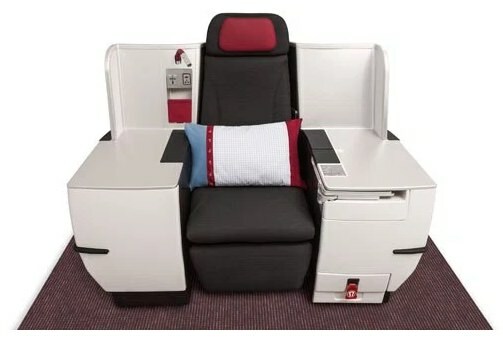 On its 777s Austrian uses the "throne" arrangement which is popular with solo travelers. The "throne" alternates rows with a single seat on the window side. These seats have a table on both sides of the seat. Austrian was one of the first to install the Thompson Vantage seat which is lie flat. Some other airlines using this seat are American on their 767 retrofit, Aer Lingus, Malaysia and Swiss' new 777. The left photo below is the window seat on a 767 and the 777 "throne" on the right. For international flights Austrian stands out from the crowd with an onboard chef called the "Skychef". 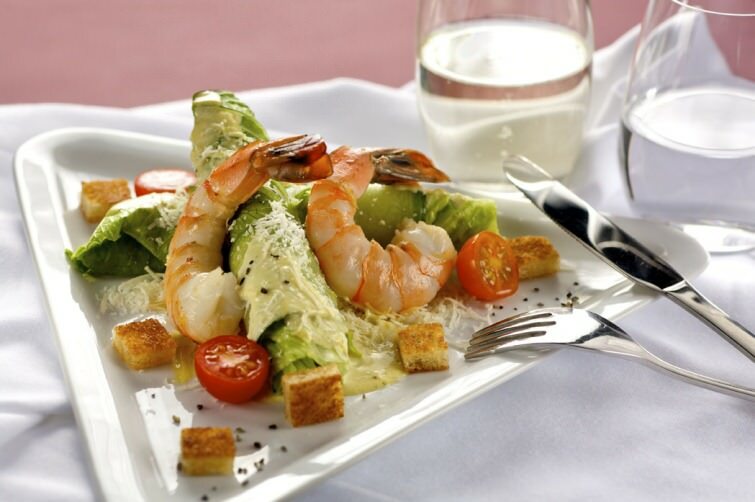 They use the popular trolley service for appetizers and desserts along with offering a choice of three main course meals. Unique to Austrian is the "Flying Coffee House" which offers a selection of 10 freshly prepared Vienna style coffees. Learn more about international business class inflight services here. Have you flown with Austrian? Share your experience with others in the comments section.